Prinzessinnengarten » Campaign: Let it grow! In Summer 2012 the Berline Real Estate Fund wanted to privatize the city owned plot on which princess gardens are growing since 2009. Facing an uncertain future we wrote an open letter to the Berlin Senate and started a petition. In only a few weeks more than 30 000 people signed this petition In Summer of 2013, after a year of uncertainty and political engagement, hope is rising on the horizon. The Berlin Senate and the Berlin City Parliament agreed to return the site of Prinzessinnengarten to the authority of the local borough. The Mayor of Friedrichshain-Kreuzberg and the Borough Council Assembly supported the fight for the future of Prinzessinnengarten. So if you come to Moritzplatz in the forthcoming gardening season, there is a good chance that in a sea of concrete you’ll find an island of collective gardening, freshly harvested vegetables, pollinating bees, self-built constructions from recycled materials, and you will surely encounter someone with whom you can have a conversation about the beauty of a garden. – secure planning prospects for urban garden projects and other forms of social participation that do justice to the value – also recognized by the Senate – that such places and projects have for the city. What is the future of the Prinzessinnengarten? Since 2009, well over a thousand supporters have helped the site to grow „from an ugly vacant lot to a paradise“ (Die Zeit). 50,000 visitors come to Moritzplatz each year to see this „biotope and sociotope with a model character“ (Tagesspiegel), this „utopia in miniature“ (Berliner Zeitung), this „laboratory for the sustainable city of the future“ (Wirtschaftswoche). But the future of the Prinzessinnengarten is uncertain. The Property Fund has been commissioned to sell the plot on behalf of the Berlin Senate. A query submitted by the House of Representatives has revealed that negotiations with investors on the imminent sale of the property have already taken place. This could mean the impending end the Prinzessinnengarten. The lack of reliable planning horizons is not only an economic threat to the self-sustaining Prinzessinnengarten. 13 full-time positions threatened, as is the result of 30,000 hours of volunteer work per season: a place of social exchange and learning. We work with numerous schools, kindergartens, community associations and universities and have helped build up 16 offshoot gardens at the most varied of facilities. Little is known about the plans for Moritzplatz. The response of the Senate Department for Urban Development to the official query suggests that investors from the creative industries in coordination with the Property Fund are planning construction, within which the garden could also integrated. How this might look remains a matter of conjecture. Urban gardens, however, are more than just sophisticated backyard greenery. They provide incentives for sustainable and neighborhood-oriented urban development. They give people room to actively shape their environment. Taking this potential seriously, in our view, must mean including the neighborhood around Moritzplatz and its diverse actors in the discussion of the future of the neighborhood – on an equal footing and from an early stage. Last year, in conjunction with other local actors and with the support of the District Mayor, we submitted a concept for appropriate public participation procedures to the Property Fund. The issue of Moritzplatz is not only about a few years more or less for the Prinzessinnengarten. The situation offers an excellent opportunity to take on far-reaching and urgent urban issues. Questions regarding appropriate opportunities for participation, the preservation of open spaces and diversity, the value of social engagement, the balance between economic interests and the protection from the displacement of existing social structures. This is consistent with the Senate’s position of promoting participatory strategies, of enabling space for urban gardeners, of improving conditions for civic engagement, of preserving diverse and socially mixed neighborhoods. But above all, Moritzplatz offers the chance for the realignment of property policy as announced by the Senate. It is not only short-term financial interests that should count when dealing with public land, but the value of social, cultural and environmental engagement must also be adequately addressed. Only in this way can free spaces be preserved or created. They help to make Berlin the beautiful and wild city that Klaus Wowereit so fervently espouses in his policy statement. End of September 2012: a late-summery autumn day at Moritzplatz in Berlin-Kreuzberg. Just a few years ago, this place was a wasteland, a roundabout with discount markets in an urban no man’s land. Then, in 2009, the Prinzessinnengarten sprouted on an urban brownfield and everything was different. The city has decided to sell the Prinzessinnengarten plot to the highest bidder, causing a big stir not only in the neighborhood. An open letter was circulated on the Internet and was signed by over 30,000 people in the first weeks. Kito Nedo met in the autumn of 2012 with Prinzessinnengarten co-founder Marco Clausen in a small grove of robinias, to talk about the Berlin garden whose name has spread to Shanghai and New York, and why it’s worth fighting for its preservation right now. Mr. Clausen, since 2009 you and your colleagues have operated an open urban garden initiative at Moritzplatz in Berlin-Kreuzberg. At the end of August 2012, you started a petition to save the garden – why? Marco Clausen: We learned that this city-owned plot is to be sold by the Property Fund to investors from the creative industry in the near future. Due to the short sales period, we had to assume that we have no viable future here. Based on this situation, we have written an open letter, in which we refer to the already precarious conditions of the garden – but also what this garden has already achieved for the district and the city as a whole. We emphasize the need to create long-term planning perspectives for this and other places of neighborly involvement. Is it just about the Prinzessinnengarten? The many responses to our letter not only show the popularity of the Prinzessinnengarten, but also that many people in Berlin currently asking, generally: How can we ensure that we still have what the Mayor of Berlin, Klaus Wowereit, once called the „beautiful and wild Berlin“ in ten years time? That means: How can we establish open spaces for this type of social commitment, for new forms of urban life together, in the long term? How can we protect such places of collective producing, of exchange, of learning and shaping the city? Originally you founded your urban farming project here on a 6000-square-meter brownfield as a mobile operation: with transport logistics and movable raised beds. Why do you suddenly want to stay at Moritzplatz? We do not necessarily want to remain here forever. That is not our core demand. 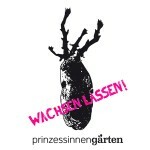 When we started the Prinzessinnengarten in 2009, almost no one believed that it could work. Urban agriculture was not a topic at the time. It wasn’t only a few who told us: „nice idea, but actually complete nonsense.“ It was only through our work here that we realized what it means to be a pioneer – you don’t really know what you’re getting yourself into. So we ourselves were surprised by the success of Prinzessinnengarten. This success is not only measured in the thousands of visitors who come here or in the hundreds of volunteers. Success is also reflected in the feedback we get, particularly from the field of alternative urban development and urban studies. In the meantime, we have been represented in many exhibitions. In dealing with many different partners, we have sensed the potential that lies in the Prinzessinnengarten when contemplating tomorrow’s cities. It comes down to the question of how to support the social context in our neighborhood – how to care for a specific mixture and for exchange, and how to establish new forms of education. These are important fields of experimentation. Another question is: How can you prepare the city for the upcoming changes, which we know will come, but we don’t yet know what the consequences will be, or how we will react to them? Among these are such issues as climate change, scarcity of resources, the increasing cost of oil, demographic change, social displacement, such as in access to housing, access to adequate health care and education. That’s why we’re no longer talking about temporary use, but of pioneer use. We’re sitting here in this grove of robinias: this is so-called pioneer vegetation. It is characterized by the ability to grow on very barren ground and get by with a little, thus creating the conditions for something that will follow. We say: an urban garden like the Prinzessinnengarten is something like a pioneer use, because it shows what is possible in such places. It also shows what kind of social needs exist, which may not have been perceived so clearly before. Such a place can open paths for a certain way of thinking about the city. The potential that we have developed here should not simply be covered up with concrete. We even should really ask how this development can be taken up in a way that continues to support what has been achieved here. For us, such a development should include, for example, a very strong neighborhood-oriented approach – that you can’t continue to tear apart the social context here, but must instead try to understand and engage the diversity of the neighborhood as an opportunity. Therefore, we demand citizen participation, not only formally, but as a serious discourse with the local people, their needs, their ideas. In a short time, the Prinzessinnengarten has become known and admired beyond the city. You have an average of 50,000 visitors per year, you were invited to the project at the Expo in Shanghai, a book has now been published by a major art publisher – the politicians must surely appreciate you as an integrative model project? The symbolic pat on the shoulder is not lacking. The value of the garden and the international reputation, which reflects on Berlin, is unquestioned. We are displayed in the brochures of the City Council when they talk about the sustainable use of green spaces. The city uses us to promote itself on tourism sites on the Internet. The question that arises is: how can this be converted into long-term planning security for us? We are not alone with this problem – just think of the Allmende-Kontor, a large communal garden on the Tempelhof airfield. We have to get past a pure image policy, and understand projects like the Prinzessinnengarten, which successfully explores new possibilities, as part of urban planning. What could enable this shift in policy in Berlin? There is a general lack of interfaces between grass-roots initiatives and the administration. There’s actually no means of communication. We do not talk to each other, because that is not intended – that people take part in developing their own city. There is a certain fear that people will just do things themselves: which is effectively unregulated, uncontrolled and not standardized or professionally approved. This has to change, because we know that cities, especially when they are broke, tend to go in completely the wrong direction. The land on which a functioning project works is simply to be sold off. That’s how to lose the options for shaping the city in the long-term. If you want to retain such options in the face of tight budgets, however, you have to include the people who are active in the city. It is the job of politicians to find instruments for this. With the Prinzessinnengarten, there is now the chance to try it out. Recently, the Berlin Senate announced a new approach to property policy. Now the sale of city land should not merely go to the highest bidder, but urban policy objectives are to be taken into account. How do you assess such announcements? A demand of many initiatives is that the people who are actively committed locally must be involved in the allocation of land. As a first step, there is a round table on property policy with representatives from civil society and politics. There must be an instrument for future exchange and cooperation, with clear rules. Currently, only the short-term financial needs of the city are the decisive factor in what will eventually lead to enormous costs in the long run. To tear apart the social context of a city – to have no green space, no more places for education: such developments will be cost much more in future, for the city as a whole, than the revenue received in the short term for the sale of property. There are people who say that the revenue from the sale of city land only just covers the cost of interest. In other words: in ten years time, having sold off 5500 plots of land, there’s not a penny less debt, yet only a few spaces which can be decided over democratically.